These are all of my partners that support me and my racing, so please support them! 2018 brings another accolade for JB, with his induction into the Australian Motor Sport Hall of Fame. Watch the video to hear what JB has to say about it. Taken too soon. 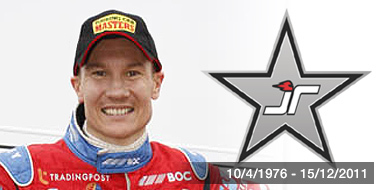 But Jase remains in our thoughts forever.